I don’t usually cook on Fridays, so I thought I would post one about a DIY project. We all like to be environmentally friendly, and vinegar is a good way to do that in many cases. 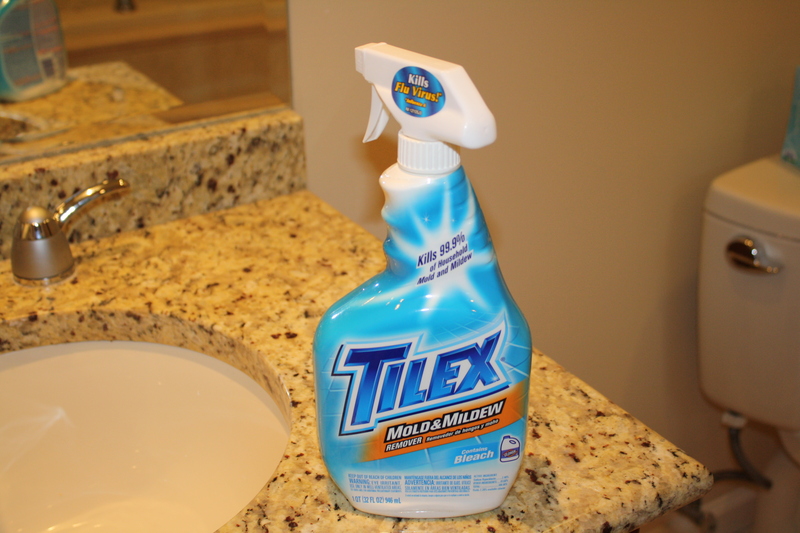 I use it to kill weeds on the patio, and also mix it with water and a little dish soap to spray onto the trashcans outside. It keeps the flies away pretty well. 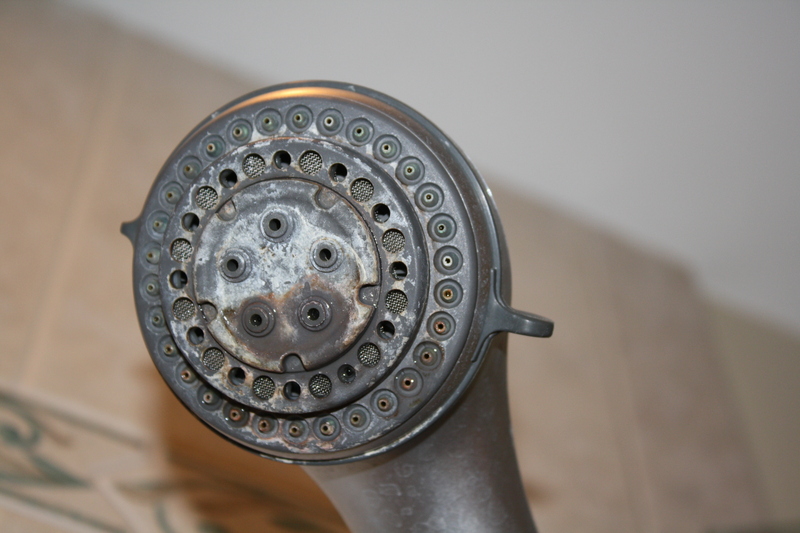 So I was kind of psyched when I saw a recipe for cleaning your shower head with a mixture of vinegar and water. 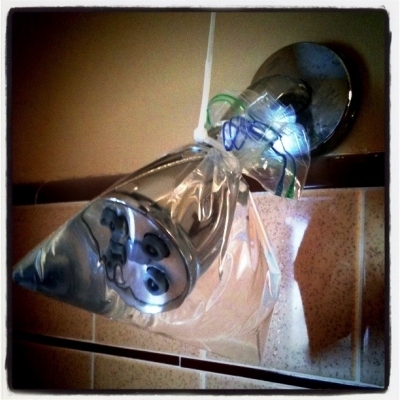 The shower head in our bathroom had a bit of calcium buildup, so I thought I would try this eco-friendly method. Try not to judge me. I mean, who looks up when they shower? I was shocked when I saw the level of scale that had built up here, believe me. 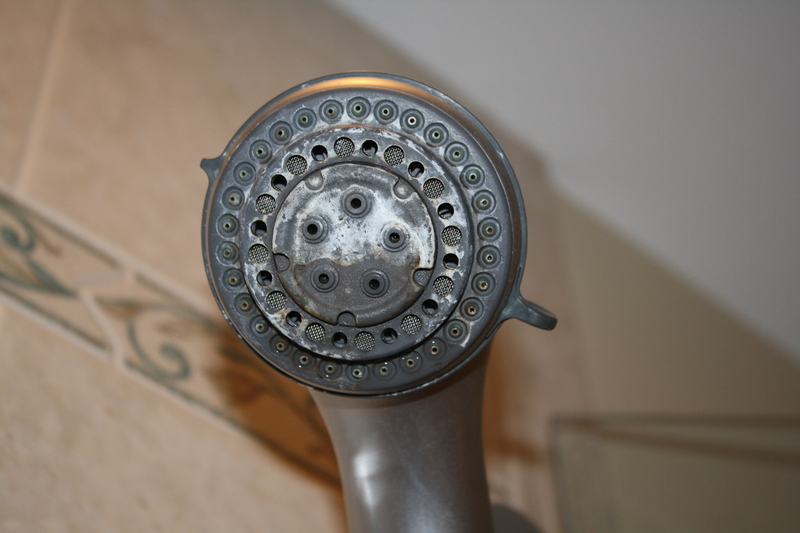 Our shower head isn’t like the one in the photo, in fact, it’s a hand-held, not that we have used that feature often, but it sits in its bracket upside-down, so already I had a challenge. 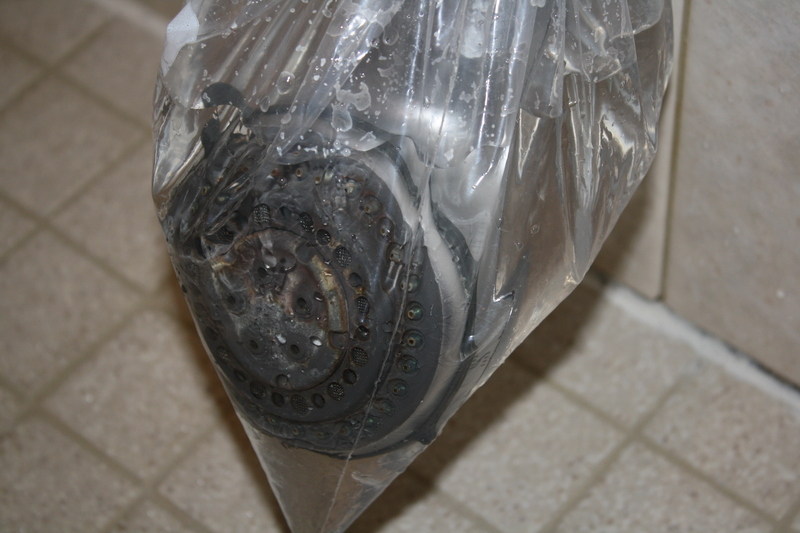 When I put the plastic baggie over it, a lot of the water-vinegar mixture leaked out. I had to take it out of the bracket and let it hang there while it soaked. Also, the original blogger said that you can use rubber bands to secure the bag, but that was a little awkward to get around the full bag, and even more water squirted out during the process. After about six hours, I removed the bag, and to be honest, I was a little disappointed with the results. I’m all for being green and all, but overall, the vinegar didn’t work as well as I had hoped. Maybe I should have let it soak for longer, but I gave up and went for the big guns. 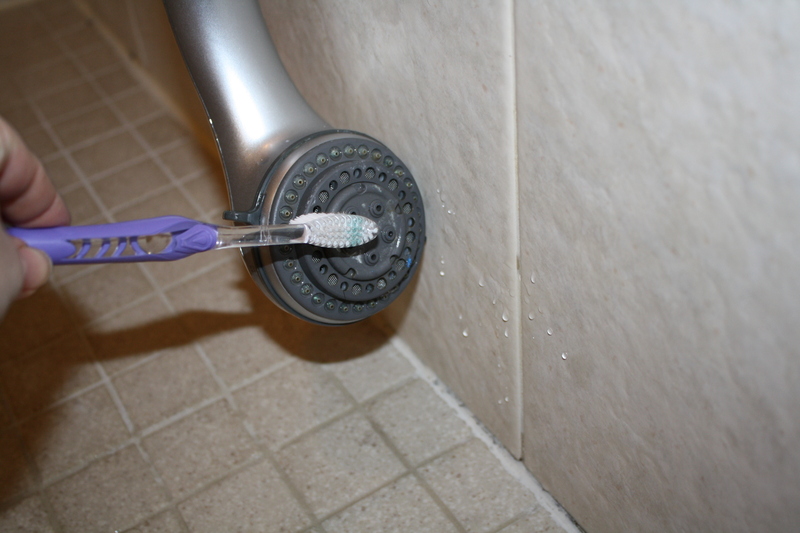 I gave it one shot of Tilex and scrubbed for about thirty seconds with an old toothbrush. Okay, I know it’s more toxic, but it did the job. Maybe next time, I won’t let the calcium build up so much. 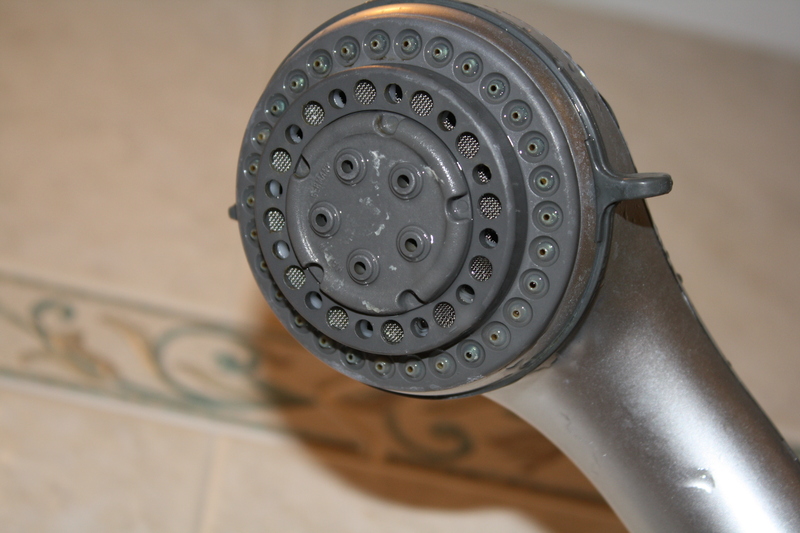 I will try this method again and see if vinegar will work a little better.